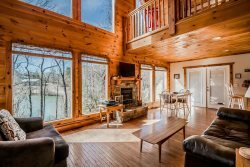 These luxury properties are located on the Helen River in downtown Helen GA. They are perfect for people wanting to have easy access to everything Helen has to offer without having to drive. Park your car at the condo for free and walk everywhere you want to go.